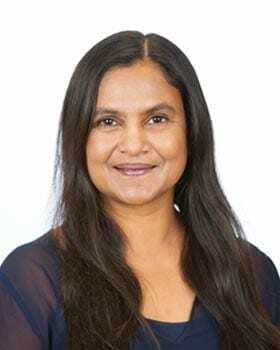 Having the opportunity to offer compassionate, non-judgemental care and the privilege to connect with thousands of patients is what Dr Natasha Deen has found most rewarding in over 20 years of practice. Graduating from The University of Sydney, and first having spent 2 years in public hospital, Natasha is proud to have been associated in practice with Warners Bay Dental practice principal Dr Rowan Burgess over 20 years. Passionate about equitable health care, combined with experience in treating dental trauma, (when first on call for trauma as a resident dental officer), which she found immensely rewarding, Dr Natasha was motivated to study public health and injury control in a Masters of Public Health, which she has completed with distinction. Also studying ecosystem health, Dr Natasha is passionate about protecting nature, and has taken a year off from further postgraduate dentistry study, in this era of climate change, to co-direct a not-for-profit community organisation she founded, dedicated to educating, inspiring and empowering the community to protect our environment. When not studying or hanging out with her son and daughter and 6 pets, Dr Natasha can be found advocating for nature at a local market or festival. Dr Natasha supports equitable and empowering health care, with an interest in holistic, and preventative health, and is honoured to meet you and your family and work with you with the utmost care and compassion, for your preventative dental healthcare needs.